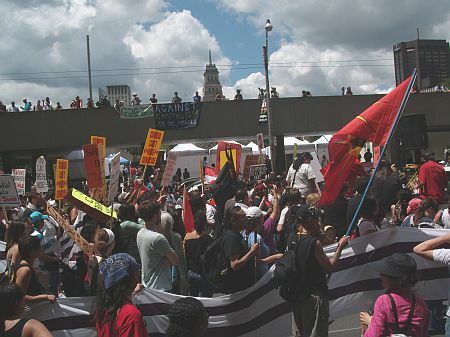 Fortress Of Freedom Board :: View topic - Native Canadian Indians Protest G20! 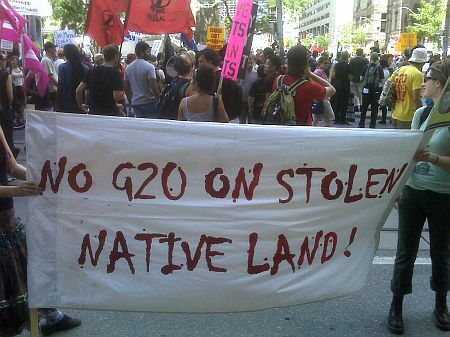 Native Canadian Indians Protest G20! 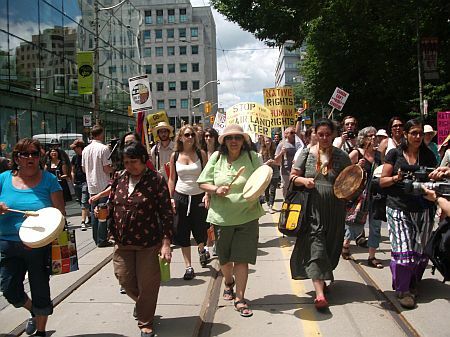 Posted: Fri Jun 25, 2010 10:59 am Post subject: Native Canadian Indians Protest G20! 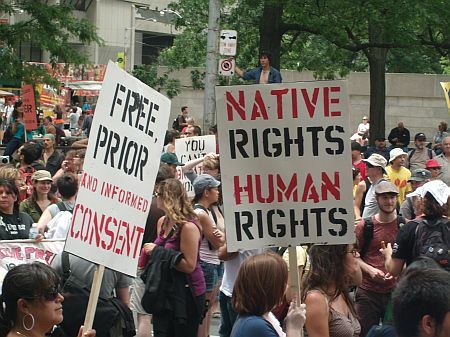 Toronto/Canada, June 24, 2010 - Native protestors and similar minded activists converged on Queen's Park to protest the G20/G8 summits and their longstanding disagreements with governments in North America. 1. 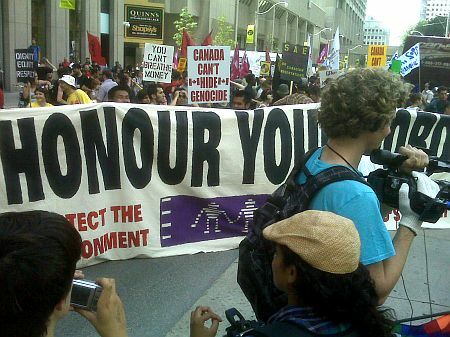 That Canada sign the United Nations Declaration on Indigenous Rights. 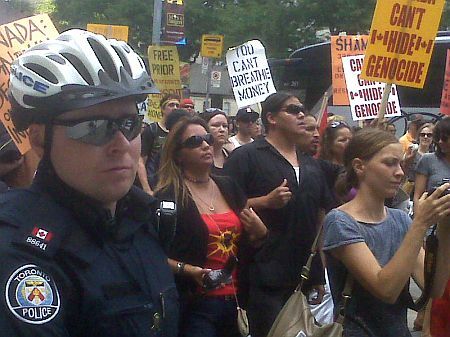 2 Justice for missing indigenous women. 3 Respect for aboriginal land titles and treaty rights. 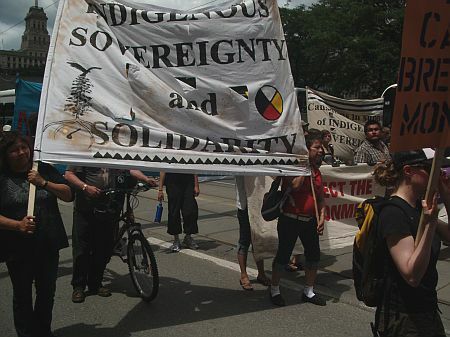 4 That a stop be put to the Athabasca Tar Sands project. 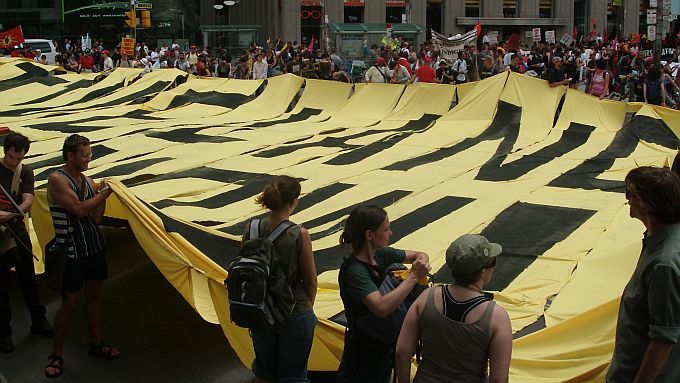 Placards and banners and even a huge flag with a message I could not read were on display and used in the march. 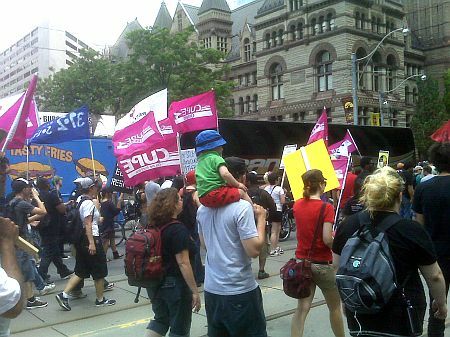 The march traveled along Queen Street and up Bay Street and was very peaceful.